Music Generation Cork City was established in 2011 having secured the national funding from Music Generation U2 and Ireland funds. 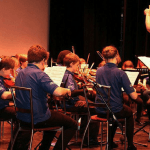 The Cork city bid, focused on addressing the gap in Music education in disadvantaged areas in the city, was led by the Arts Office of Cork City Council, the E.T. B Cork City, and a number of local community education providers. Music Generation Laois is a performance music education programme for children and young people in County Laois. 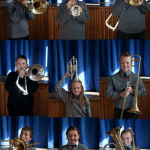 Music Generation Laois is based in the Arts Office, Laois County Council, and delivers engaging music programmes in schools and centres, across 8 programme strands: Choral, Uilleann Pipes, Orchestral, Harp, Brass, Stampede (World) Drumming, The Music Box. Music Generation Mayo is part of Music Generation – Ireland’s National Music Education Programme, initiated by Music Network with funding provided by U2 and The Ireland Funds, matched locally by Mayo Music Education Partnership (Mayo MEP). Music Generation Mayo moved from philantrophic funding in 2014 and is now funded through the Department of Education and Skills, again matched locally by Mayo MEP. Sliabh Luachra Music Trail is a partnership project led by Cork County Arts Office, Kerry County Arts Office, supported by IRD Duhallow and the Arts Council’s Deis scheme. Key partners are local musicians, arts festivals, venues and events. Among the objectives include a range of measures that aim to promote and preserve the region’s unique musical heritage. The Music of Clare is an online project allowing immediate access to all those interested in the music of County Clare and presents a sample of the rich musical culture of the county of Clare. 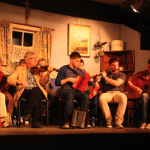 It enables those interested to listen to traditional tunes associated with County Clare, played by musicians who are from the county or who have lived in it for many years.